New beautifully designed and constructed cage clips that are more kind to your footwear. No sharp edges to tarnish your Clarks, these cage clips have all the function and fit of quality MKS product. The MKS wire half clips are elegant, don't scratch your shoes, don't have the fiddle of straps that no one tightens anyway, and allow pedaling without fear of the foot slipping forward. Since I have reverted to flat pedals and do not get along with spds, the wire half clips are the perfect solution. I bought these to use in the city after being used to clipless. Brilliant compromise. Quick/easy to get in-and-out-of with frequent stops and almost as good as clipless when riding. However, not quite as good with very flexible soled shoes. Just bought & fitted these half toe clips because I don't want to use clips or clip less pedals. Have used these on three rides now (100 miles) and found them brilliant. The only reservation I have is the cage can easily be scratched on the floor if not careful so time will tell if they will start to rust after the chrome has been removed. (Hopefully, the wire is a corrosive resistant material, should be for the price). The large size has an overall length of 66mm. what length are the medium so i can avoid to overlap? 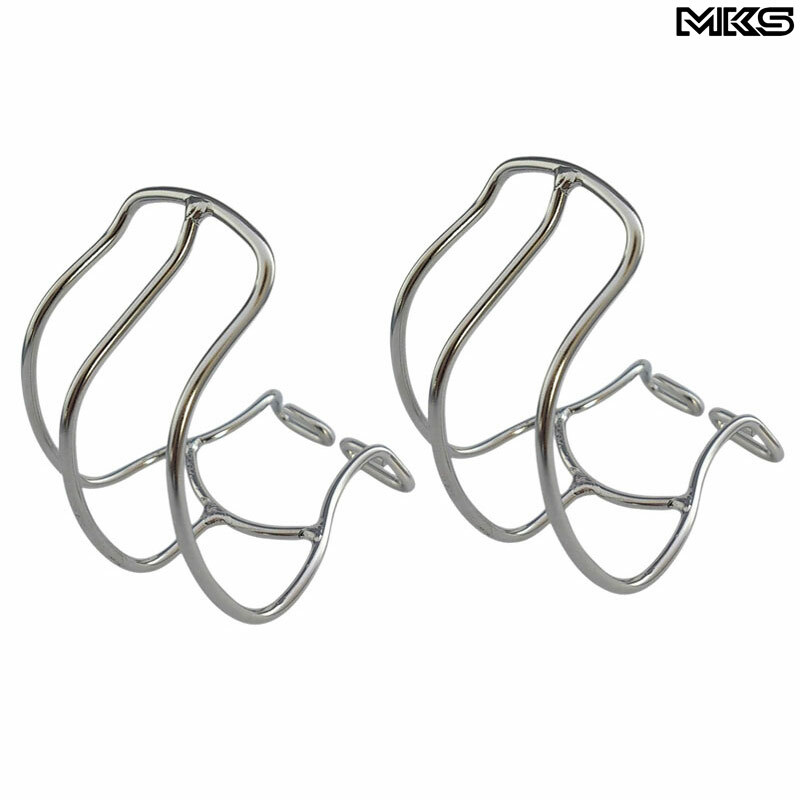 Do you also sell MKS Half Clip Mini steel toe clip? Hi the medium are 48mm long. We don't keep the MKS Half Clip Mini at this time. What Is The Difference In Size M And L? Want to wear ordinary street sneakers with these. Also wonder about the shipping fee to Sweden. The two different sizes are designed for people with different sized feet. We'd recommend anyone with a size 42 foot/shoe or larger to use the large and anyone with a smaller foot to use the medium. For a shipping quote just add all of the items you are looking at into your basket. Then proceed to the first step of the checkout. Once you have added a valid delivery address either by logging into your account or creating an account if you're a new customer the website will generate the shipping cost for you.